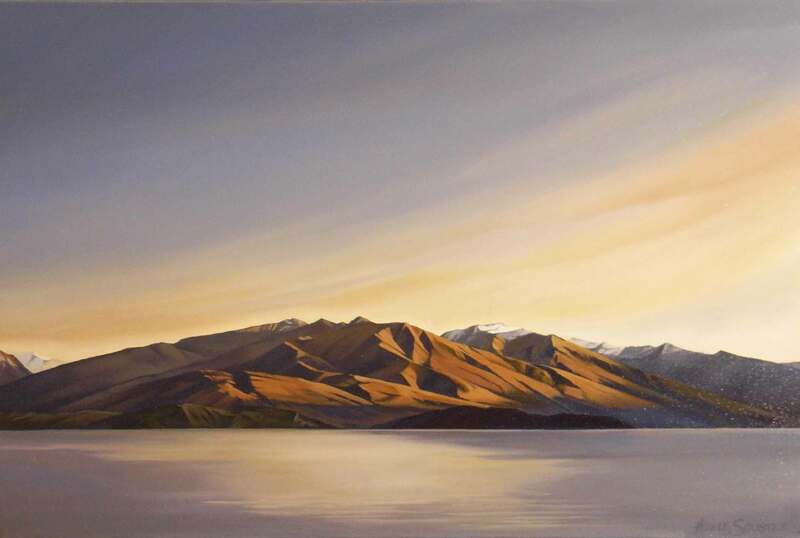 After graduating with a Diploma of Graphic Design from Auckland Technical Institute, Adele worked in the Advertising Industry as an Art Director and Studio Manager before moving to Sydney where she worked as a freelance designer and fabric artist. 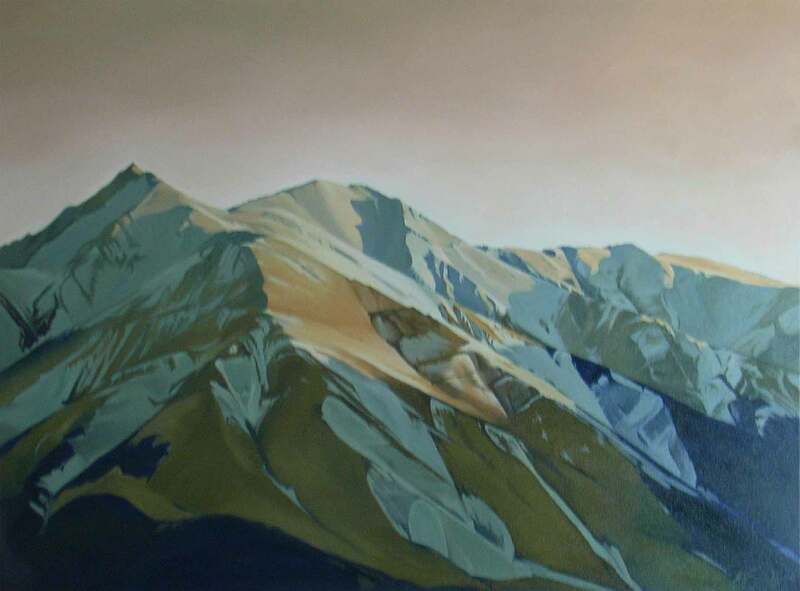 Adele began printmaking in 1990, was a founding member of the Open Bite Printmakers, and her work is held in private and commercial collections in Australia and the U.K. Adele returned to N. Z in 1997, and in 2004 began working as a full-time artist. 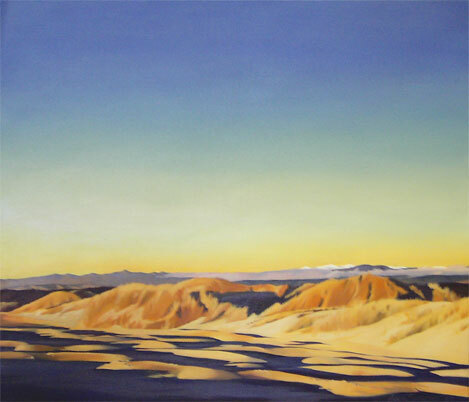 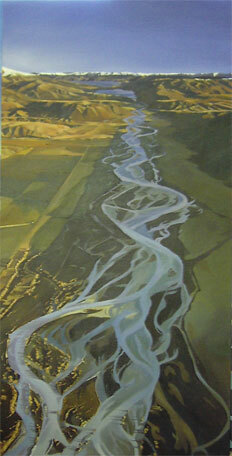 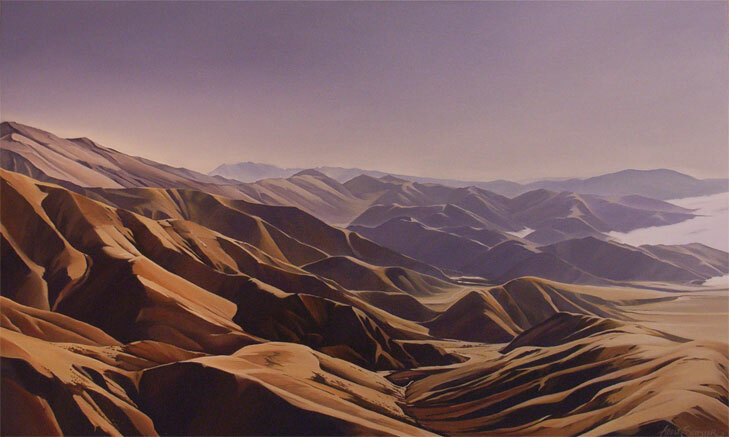 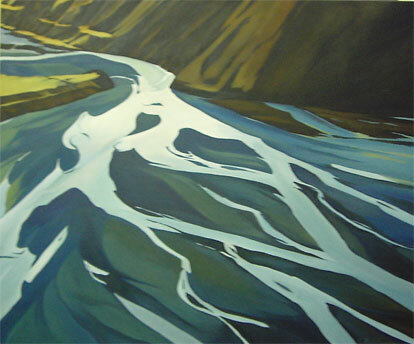 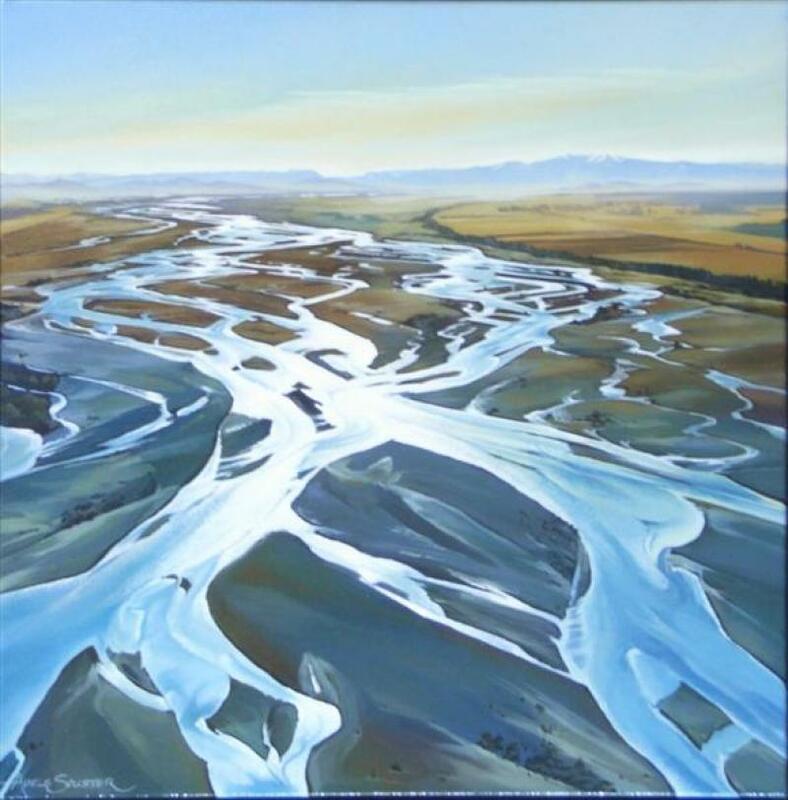 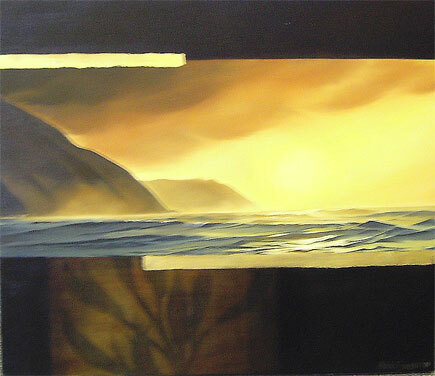 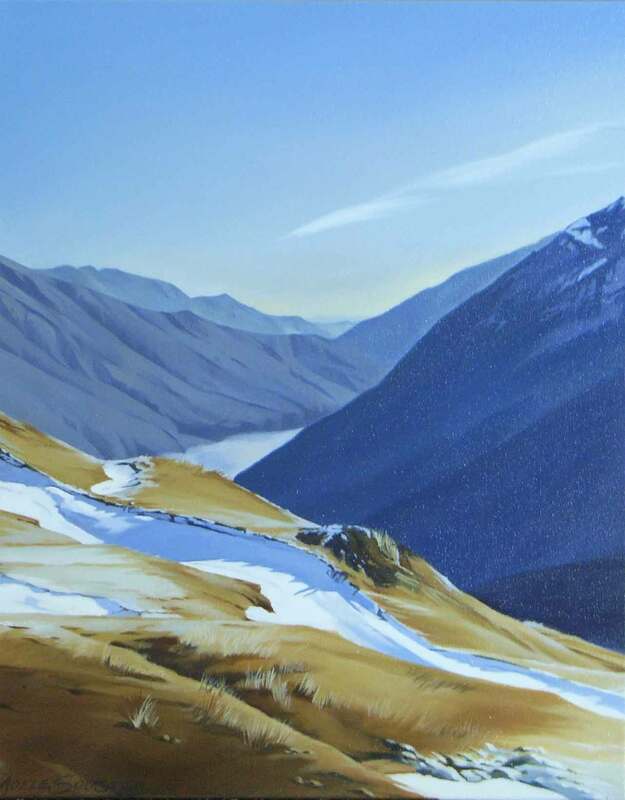 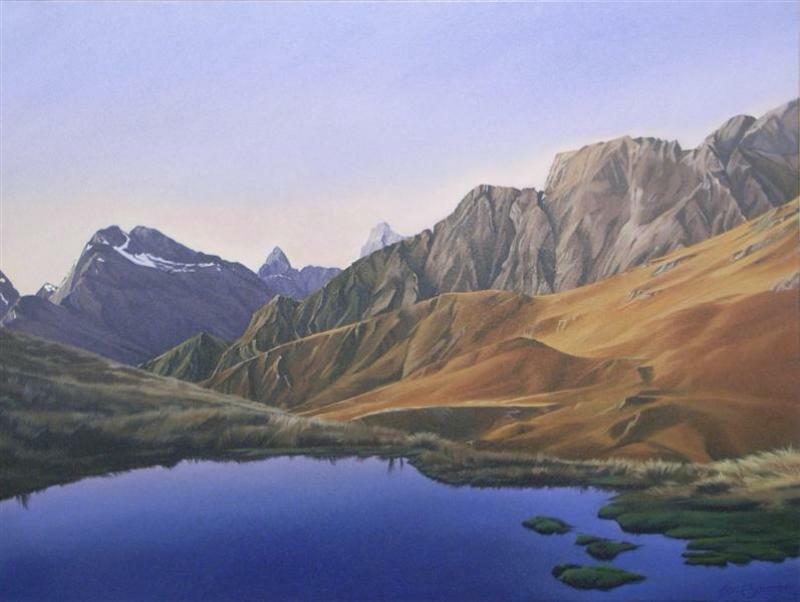 Preferring oils, the main focus of her work is to paint the landscape around her, often taking a unique birds-eye view perspective. 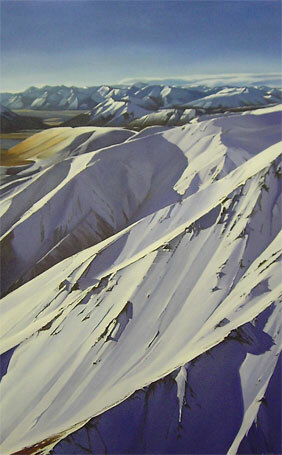 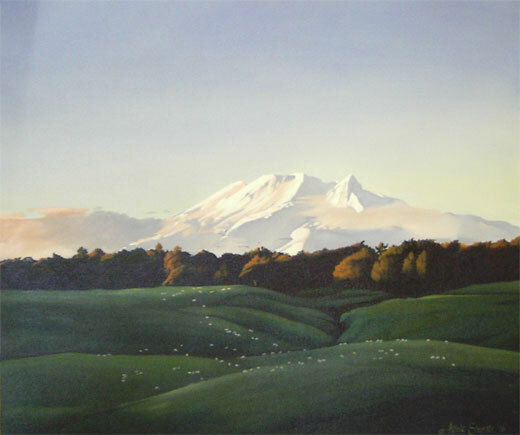 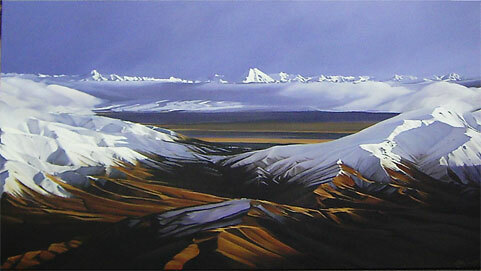 "Chest Peak Near Arthurs Pass"
"Silverstream, Headwaters of the Waimakariri"
"View at the Top, Mt Bruce"